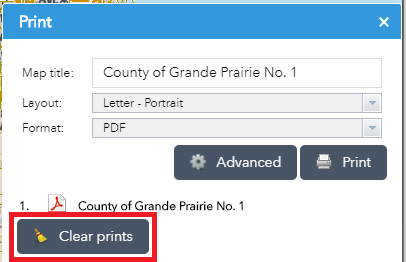 Welcome to the Getting Started Guide for the County of Grande Prairie's Public Web Map. 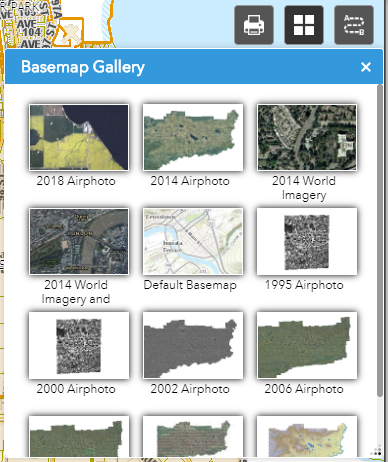 This page will walk you through the elements of the Web Map by showing the main page and tools available to you when you start using the Web Map. Each tool and component is explained in more detail in its own help page accessible by using the left pane of this Help application. Locating at the top left corner of the map, this tool bar contains Legend, Layers, Measurement and Draw tools, as shown in Figure.2. To view details of each tool, click on tool icon. The Navigation Bar locates right next to the Tool Bar at the top left corner. It contains Zoom In, Zoom Out, Home button and Find Current Location button, as shown in Figure.3. The Search Bar/Find Tool is located right next to the Navigation Bar. This tool enables the users to search the map by roll number, LINC, address, plan block lot, place name or LSD/ATS Grid, as shown in Figure.4. 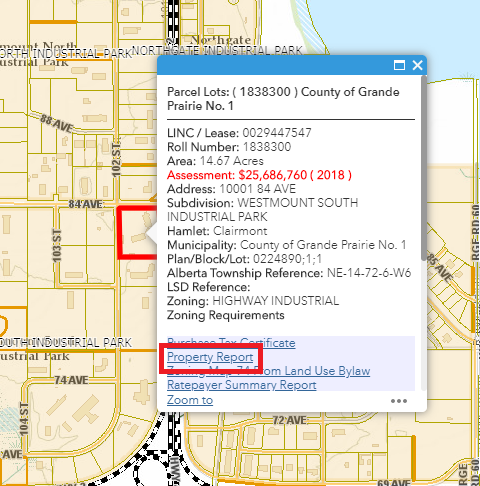 Note that in certain maps (e.g., The internal staff Assessment Map), the search bar maybe be configured to search for other pieces of information that are important to the purpose of the map. There are two useful links at the top right corner of the main window. 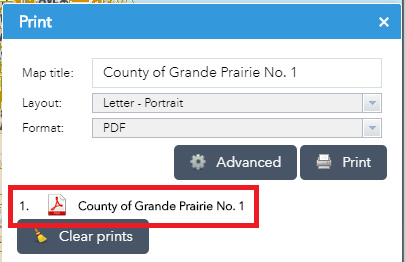 The one on the left is linked to the County’s Web Site, the other one is link to the Public Web Map Help File, as shown in Figure.5. There three other tools right below the Help Links at the top right corner, as shown in Figure.6. 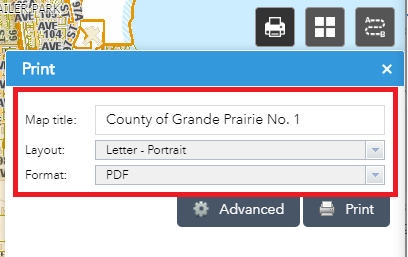 Note that tools available in this area may change based on the contents and purpose of the map. The Esri Logo, as shown in Figure. 7, is a link to ArcGIS online. The Tiny Arrow, is a link which will open the Overview Map. By default, the overview map is hidden. Users can click on the arrow locating at the bottom right corner to hide/show the overview map. The overview map shows the extent of the entire map the user is currently viewing. By default, the Attribute Table for selected features is minimized. 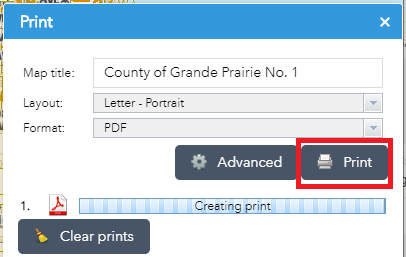 Once features have been selected and you wish to view their attributes, click on symbol shown in Figure. 8, which will maximize the Attribute Table. This tool tracks the coordinates of the location of the mouse. Click the symbol to the left to get fixed coordinates of a point. There is a scale bar on the bottom left. It adjusts its value and length as you zoom in and out of the map. Click this arrow to view details of a tool in the Vertical Tool Bar, or to hide the details of a tool in the Vertical Tool Bar. 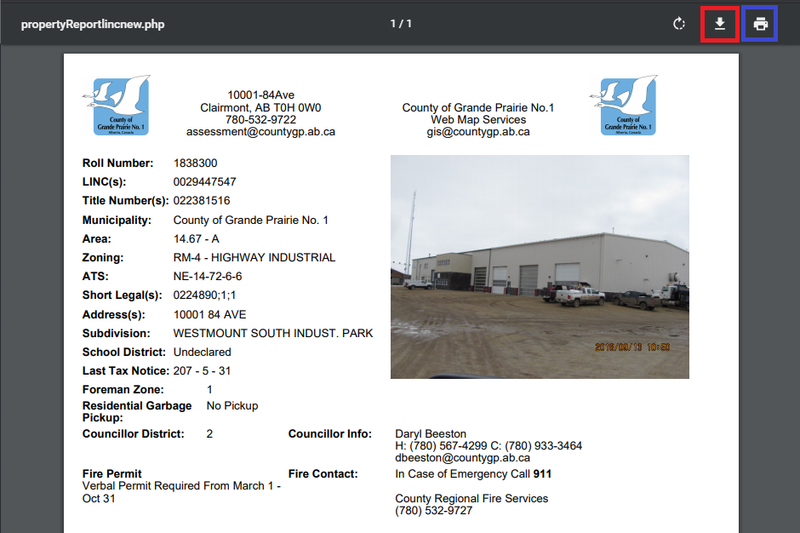 Copyright © 2017 by County of Grande Prairie No. 1. All Rights Reserved.